Google is teaching its self-driving cars to honk their horns. Can teaching the cars to flip the bird be far behind? In its monthly report on its self-driving car program, Google says it has started to have its cars blow their horns to warn human drivers and pedestrians. "Our goal is to teach our cars to honk like a patient, seasoned driver," said the report. "As we become more experienced honkers, we hope our cars will also be able to predict how other drivers respond to a beep in different situations." Google (GOOGL) has even has taught the cars to honk in different ways, depending on the circumstances. "If another vehicle is slowly reversing towards us, we might sound two short, quieter pips as a friendly heads up to let the driver know we're behind," said Google. "However, if there's a situation that requires more urgency, we'll use one loud sustained honk." Sometimes these self-driving cars need to honk simply because the gum-drop shaped electric cars, built specifically for Google, don't make the noise of the typical gas-powered car. "Quiet isn't always a good thing," the report said. "Pedestrians and cyclists often rely on sound to alert them to a nearby car, particularly if they're about to cross the street or change lanes." 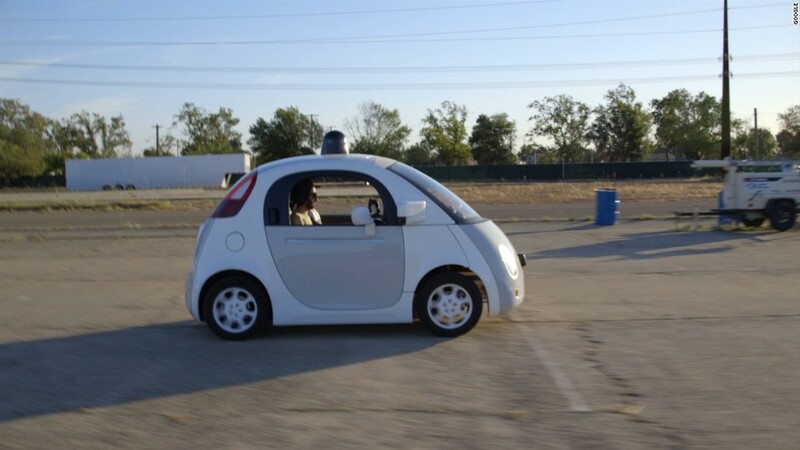 Google's cars have now driven 1.6 million miles in self-driving mode. The fleet of 58 cars on the road are adding 10,000 to 15,000 additional miles a week in self-driving mode.